The Haworth Projection is a drawing style for cyclic compounds. 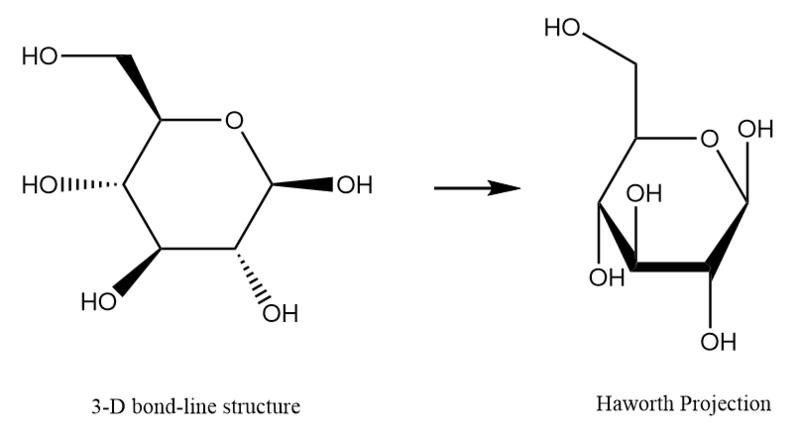 It is used to clearly indicate the 3-D structure of the compound. The Haworth Projection is used for cyclic compounds. Upward vertical bonds represent wedges, while the downward vertical bonds represent dashes. It helps us analyze the stereochemistry of the molecule with ease.